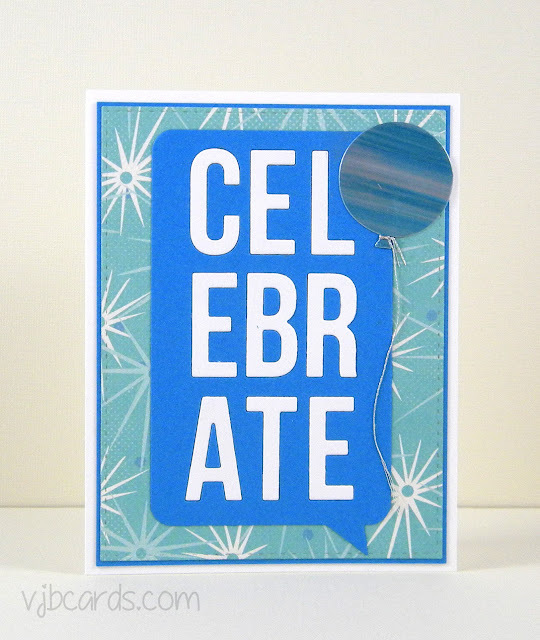 Today I have another card to share made with some of my goodies from our MFT shopping trip. 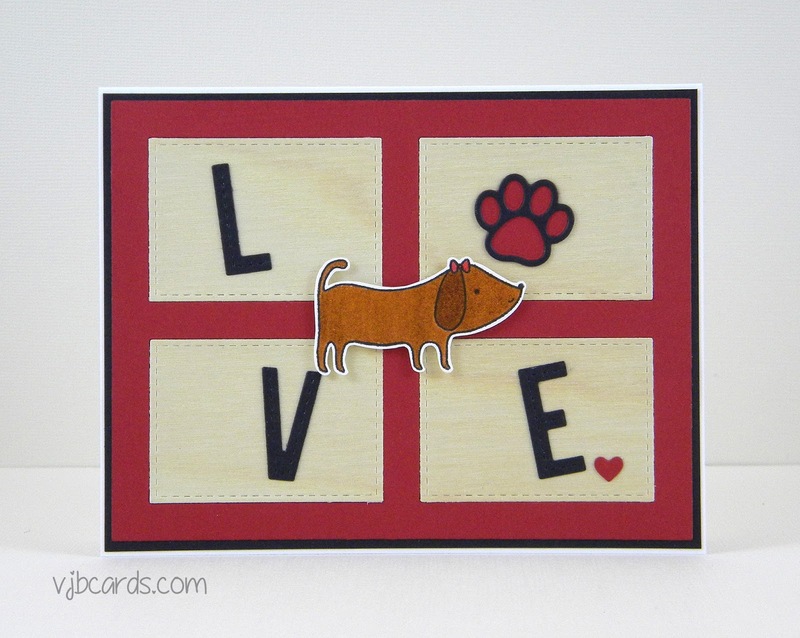 I diecut the background out of both red and real wood paper, inlaying the wood rectangles into the red frame. 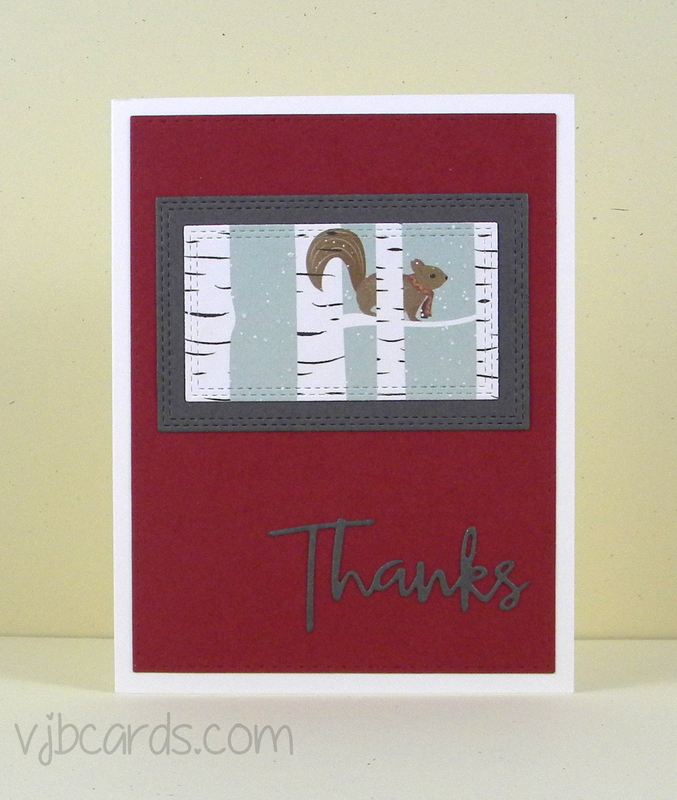 I really like the texture that the wood adds to this card, and it diecuts beautifully. I love dies with stitching detail. 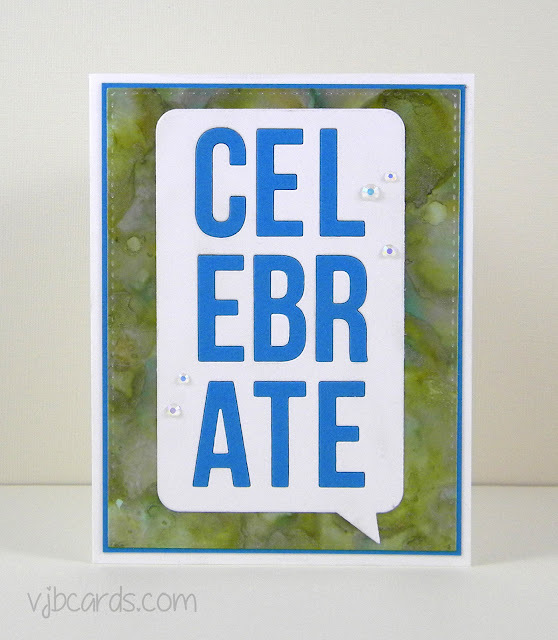 It's such an easy way to add detail to your cards while still keeping them clean and simple. And I think this super cute little dachshund puppy looks great sitting on top (mounted with foam squares for a little dimension). Today I have a card made using the End of the Rainbow Die Set from My Favorite Things. 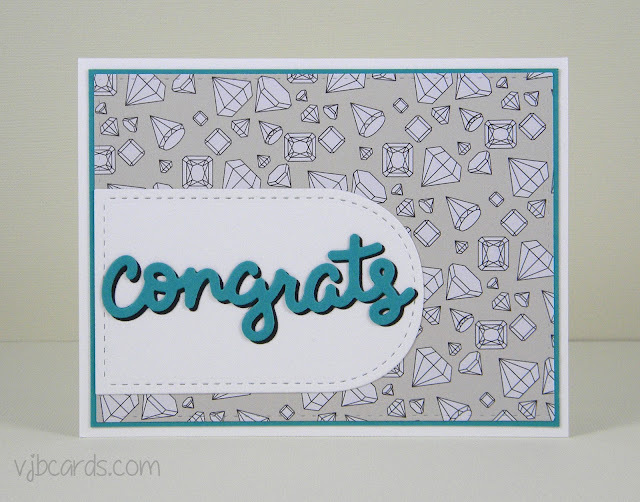 This was one of the new dies I bought while visiting the My Favorite Things Stamps boutique store last weekend (which was very fun, by the way). Because I make so many cards to raise money for Pug Rescue of Florida I thought this die set would be perfect. The phrase "they crossed the rainbow bridge" is what many people use when their pets die. Apparently it originated in a couple of poems that were written in the 80's to describe that place that pets went when they died to await their owners. 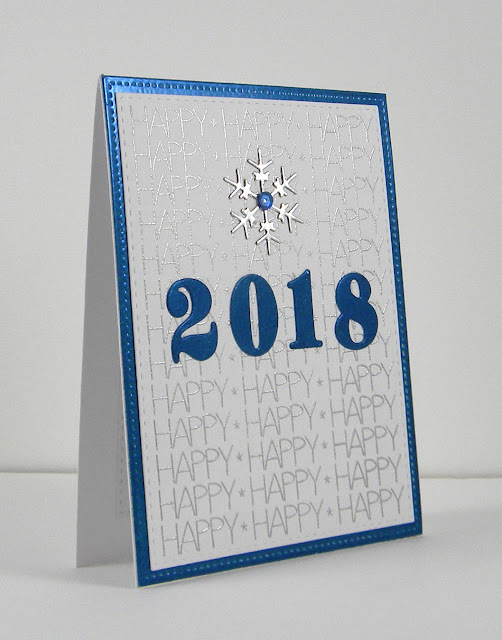 To make my card I diecut the rainbow from 6 colors of paper, layered them onto a piece of light blue cardstock and cut with a stitched rectangle die. This is layered onto a piece of vellum to help create that light and airy feel and onto a very light grey card. I also diecut two of the clouds that come with this set. 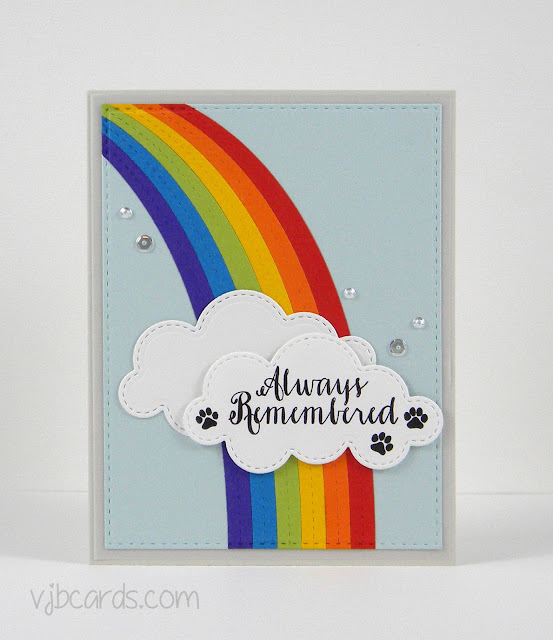 On one I stamped the sentiment and tiny paw prints in black and mounted this over the second cloud using thin foam squares. This adds just a little dimension but keeps it easy to mail. I love the stitched detail on the clouds, rainbow, and the edge of the rectangle. Several tiny sparkling clear sequins look like raindrops. So, have you ever been so happy with a shopping experience that you just want to tell everyone about it. That's how I am. Too often I get disappointed in stores (vs. online shopping) because I can't find what I want, etc. Well, on Saturday two of my good card making friends and I went up to this store, the My Favorite Things Stamps Boutique in Eustis, Florida. About a year ago we found out that My Favorite Things had an actual brick and mortar store a couple hours from us. We'd been using their products for years, buying online and been very happy with them. We usually try to get together about once a month to make cards and try out each others new supplies. Instead, we decided to do a field trip to this shop. We could never come up with a good day to do it, life kept getting in the way. Finally, we worked out a day and made the trip on Saturday. On the way up there I kept thinking to myself that I hoped we wouldn't be disappointed, especially since it was a good drive away. We absolutely were NOT disappointed. It was great. The store was a great size and everything was displayed so well. The best part - was seeing all of the sample cards made by their display team members. I know we see some of these online on The My Favorite Things Stamps blog, but seeing them in person was totally different. I think so many of the details of the cards are missed when viewing them online. And they had SO many card samples. Most of the samples had a list on the back of all the products used. And the person working in there was extremely helpful. She answered all of my questions, which were many. So, three hours later we finished shopping. Time flew. We had no idea how long we had been in there. I do wish I'd taken some pictures of the boutique to share. And - they have discounts that increase the more you shop, and we got that super cute bag (in the pic) to carry out our purchases. 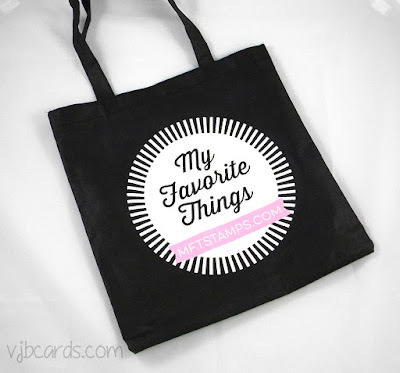 If you're ever in the central Florida area (Eustis is not that far from Orlando) I would totally recommend stopping in at the My Favorite Things Boutique in the old downtown Eustis area. You won't be disappointed. Today's card is simple, yet very special to me. It was made to congratulate my daughter, my baby, on getting engaged. Her guy, no - now it's her fiance, is a really, really great guy. And I think they're perfect together, they really complement each other. I'm so happy for both of them. Finally, I got all my Christmas thank you cards made, written out and in the mail. I made thirteen cards using one sheet of 12 x 12 patterned paper. Here are a few of them. 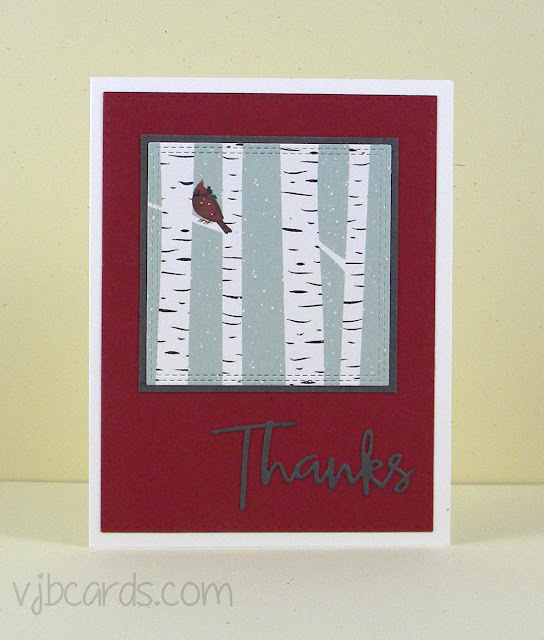 I used double stitched rectangle and square dies to cut out the different little bits of the patterned paper that had animals sitting in the birch trees (there were 13 of them), added a dark grey mat, layered on a large red stitched rectangle and added a thanks diecut to each. To some of them I added Wink of Stella clear shimmer to the trees or little dots of snow with a pico embellisher. Making them didn't take all that much time. But, writing them out, that was a different story. I'm just not that good with words. I was so thankful for each wonderful gift, but just have such a hard time putting it down into words. I do hope everyone was able to look past my stumbles and know how appreciative I am. Thanks so much for stopping by today and I hope you have a great day. First, Happy Birthday to my friend Jan.
Today I have two cards, made with the My Favorite Things Celebrate Speech Bubble Die. 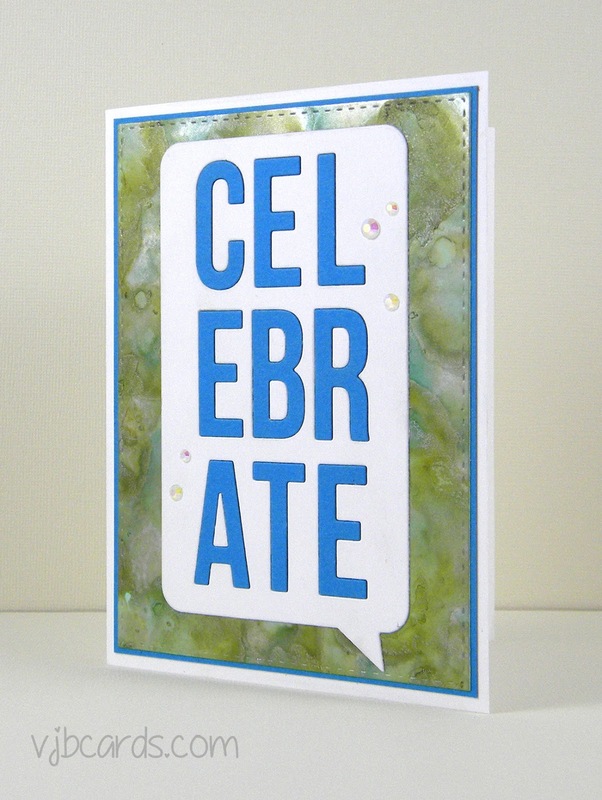 The first card uses an alcohol ink background on Yupo paper made recently at a card making friends get together. We had all watched a video that Jennifer McGuire had done and it looked like so much fun, which it was. But I do have to admit it was a little messy. I think I had the ink everywhere. It's really hard to see the beautiful shine that background has. You can see it a little in this photo. Since I had the leftover pieces from cutting the die from two colors cardstock I made a second card. I used a small piece of another alcohol ink background for the balloon. I do love that die. 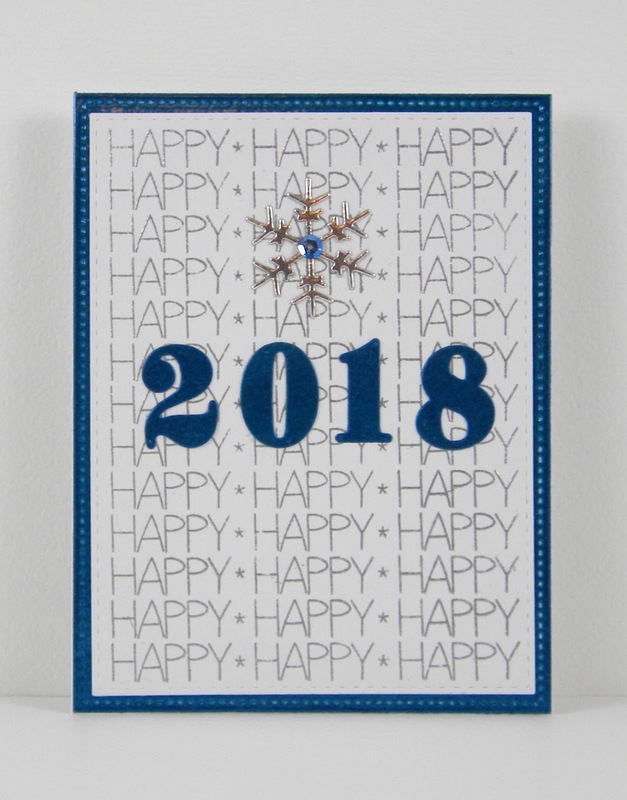 It's large and covers nearly the whole card front but allows just enough room for whatever background you use to really show. I know some people find patterned paper hard to use. I think this die makes that so easy. Happy New Year! I have a card to share today made by my friend Jan. It's really so pretty. It has such beautiful metallic embossing - all the silver and the blue - which you can see a little better in this photo. This past year was filled with hurricanes, sinkholes, and some serious health issues, so I am hoping for a healthy and uneventful 2018.